Wheat prices have been put under pressure after Vivergo announced it would close its plant in Hull. The company announced it planned to bring forward its annual maintenance programme and close its plant ‘in response to deteriorating market conditions and legislative uncertainty’. Vivergo uses 1.1 million tonnes of feed wheat, which is sourced from farms across the East Yorkshire region. 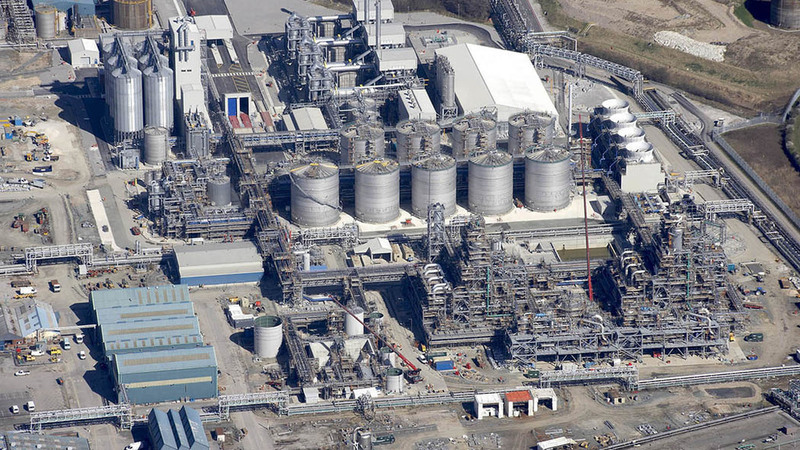 Vivergo has criticised the Government for not announcing a roll-out framework for E10 in the UK, which it said could have serious consequences for the long term future of the bioethanol industry, with the market ‘constrained by the Government’s inaction’. And margins have been further hit by a significant fall in bioethanol prices over the past six weeks. ODA UK analyst Rupert Somerscales said in closing this plant, many farmers would potentially see their basis levels under pressure. However, he concluded despite such a huge consumer of wheat being sidelined, the UK would still need to import around 1 million tonnes of wheat this season. Sam Scott, Cefetra Grain Buyer Scotland, said the news was slowly filtering into markets and traders would be watching to see whether the extra wheat would have a detrimental effect on premiums. September UK wheat exports rose but were still running well behind last season’s pace according to customs data. Exports in the year to date were at 147,000t, down from 676,000t during the same period last year, while imports were down 9,000t year on year. In Scotland, Mr Scott said he had heard an experienced trader stating the industry was in ‘uncharted territory this season’ in valuing wheat premiums for feed or milling qualities. He added all eyes were now on November contracts moving to see what the market has left to sell as well as the effect of Vivergo’s closure.